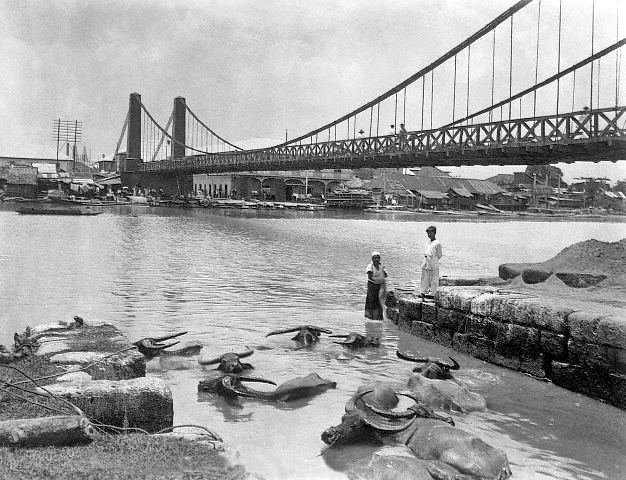 The Pasig River is an important and essential part of Manila’s history. 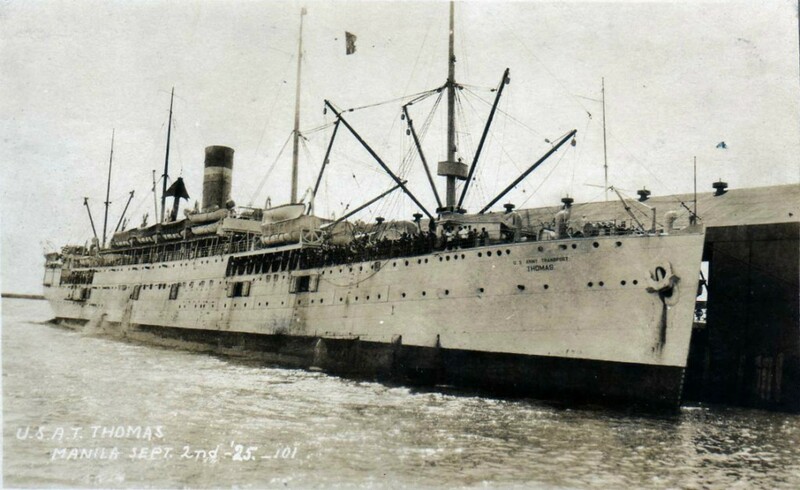 It contributed to the economic welfare of our city as it became the busy port for supplies and visitors. Dividing the city north and south, bridges were built to allow commerce and residents to cross the river which previously had relied on ferries to get across. 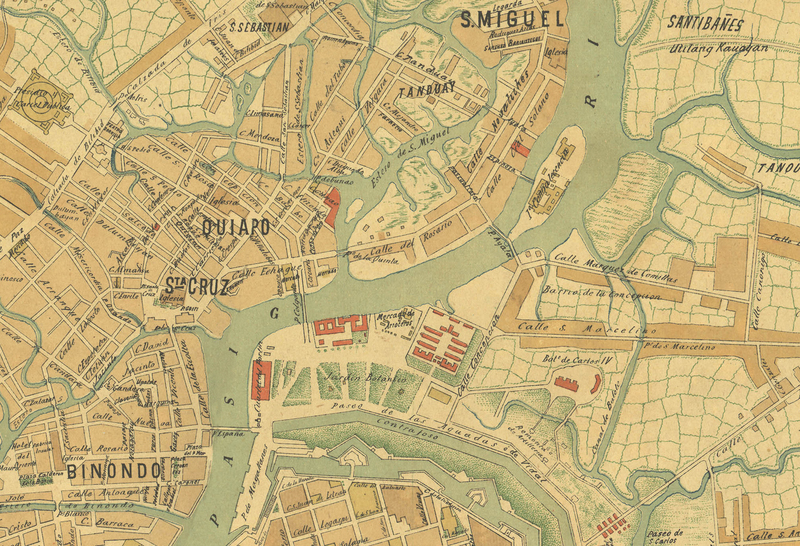 It started with the Puente Grande in 1630 which was eventually replaced by the Puente de España until 16 bridges were eventually constructed to accommodate the ever-growing traffic. 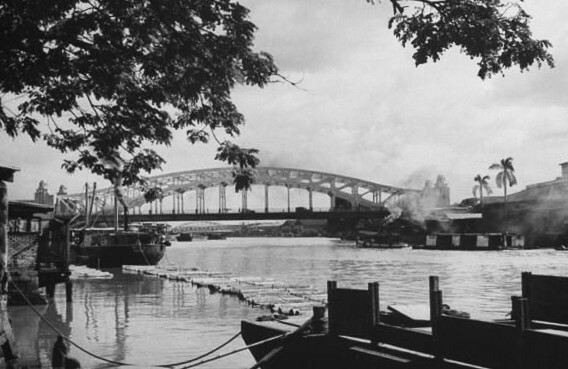 One of the bridges to span the Pasig was the Puente Colgante (Suspension bridge) built in 1852. 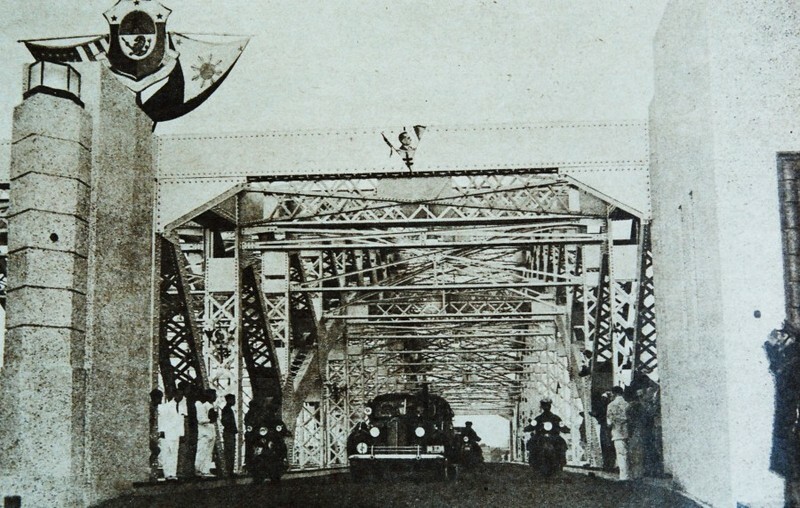 Originally called Puente de Claveria, named in honor of the Governor-General of the Philippines, Narcisco Claveria y Zaldua (served 1844-1849), the bridge connected the commercial district of Quiapo to the residential areas south towards Ermita. It was built and owned by a Basque family headed by Jose Joaquin de Ynchausti. 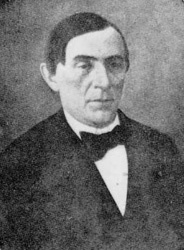 The firm called Matia, Menchacatorre y Compañía, was responsible for the construction of the bridge. It was a slower-paced life at the turn of the century as the mostly pedestrian traffic crossed the Pasig into the Quiapo district. American soldiers had occupied the city just a year or so ago. Life had not changed much from the Spanish occupation. Women carried food and supplies in baskets on their heads and the young lad carried water in tin buckets between his shoulders. Pedestrians and caretelas cross the bridge. 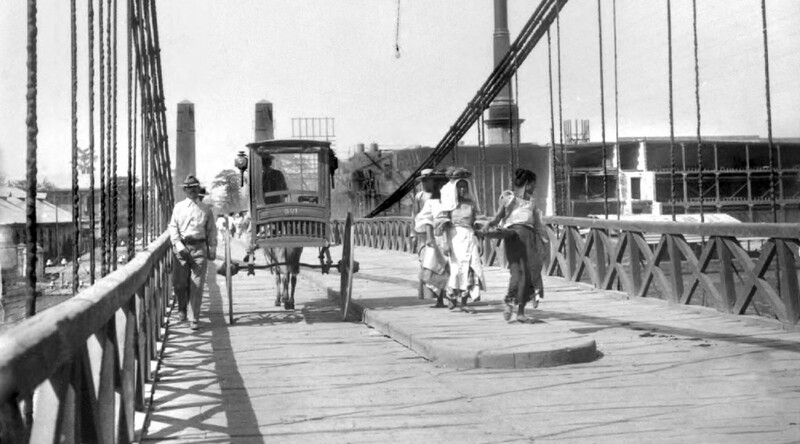 Construction on the Puente Colgante suspension bridge across the Pasig River started in 1849 and was completed in 1852 and remained in use until the mid-1930s. 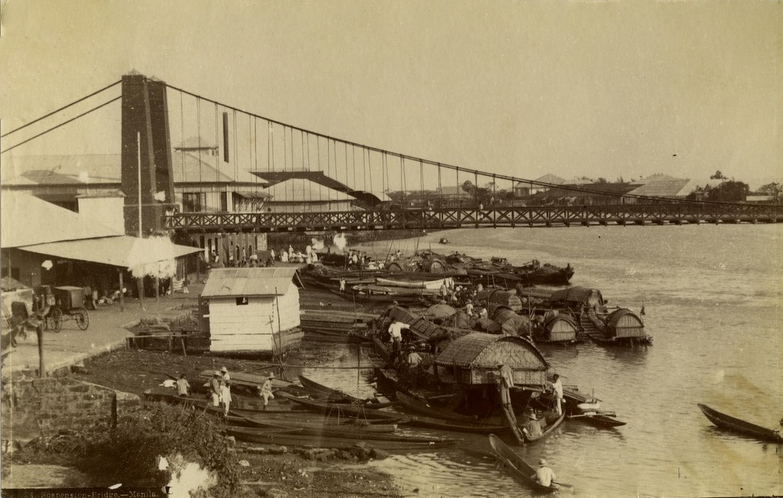 The suspension bridge measured 110 metres (360 ft) long and only 7 metres (23 ft) wide, and had two lanes that allowed passage of horses and carabao-drawn carriages and a pedestrian island down the middle. Cascos lined the shore under the bridge. Carabaos enjoying the cool Pasig under the shade of the Colgante. 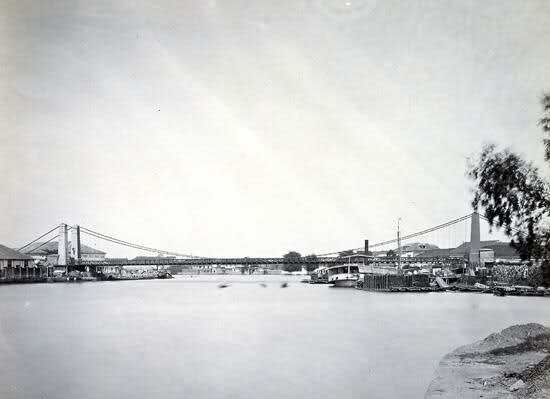 The Puente Colgante is said to be the first suspension bridge in the Far East. Its contruction was supervised by M. Gabaud, a French engineer. 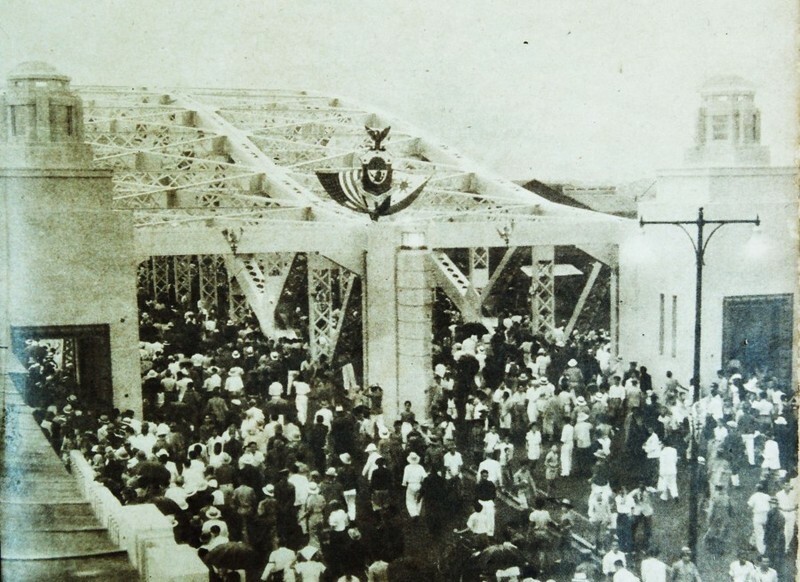 Inaugurated in January 4, 1852, it was in service until the modern-day Quezon Bridge replaced it in 1938. 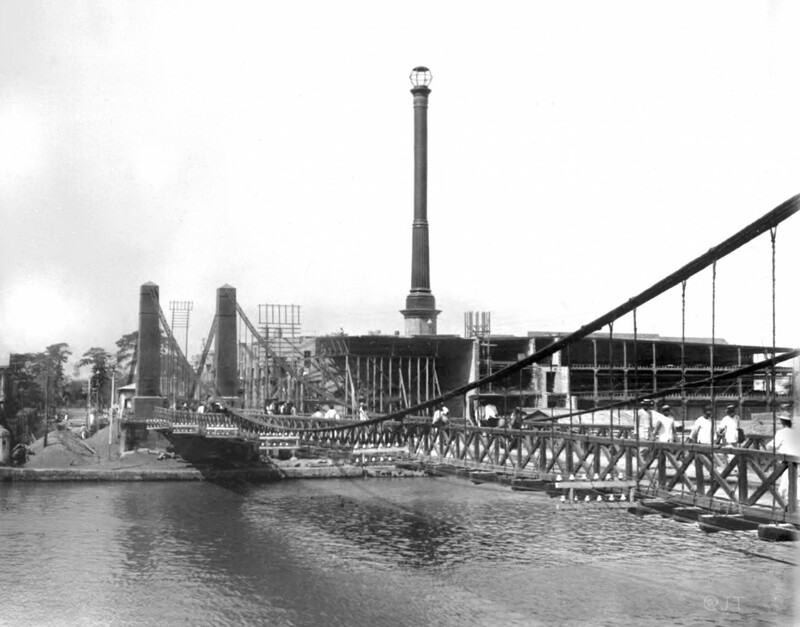 Persistent rumors dating back to the 1930s has it that the bridge may have been designed by Gustave Eiffel, who designed the notable Eiffel Tower in Paris however, since Eiffel would have been only 20 years old when the bridge was inaugurated in 1852, truth of this rumor seems unlikely. If we go back in history, we know that the tropical Philippines did not have a regular supply of ice until the late 1800s. Ice ships carried huge blocks of Wenham Lake ice near Boston and sailed from America to India and Australia with a stopover in Manila. Of course the demand for ice grew after the Spanish-American war when American soldiers and families settled in the Philippines. 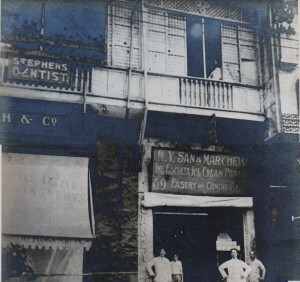 Ice Cream parlors such as Clarke’s and the Escolta Ice Cream parlors, ice cold beer, cold-packed meats and cold storage made the sale of ice an important industry. 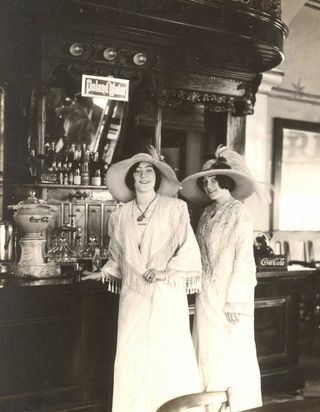 Young ladies enjoying ice cream treats at Clarke’s Parlor on the Escolta. Oriental Brewery & Ice Factory, 57 Oral. Solano, San Miguel. It was purchased in 1919 by the San Miguel Corporation which later transformed the building into the Royal Soft Drinks Plant. 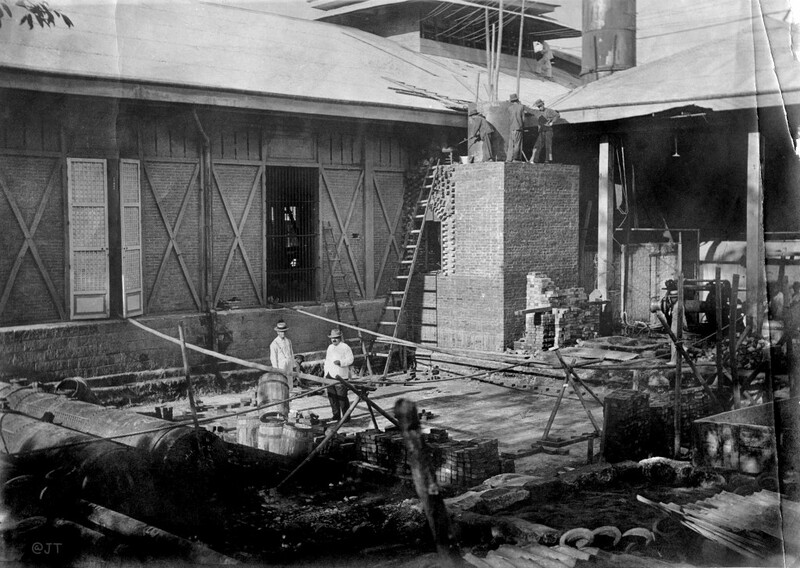 Fabrica de Hielo de Manila, Ice Factory— 660, Echague, San Miguel that was known to produce a daily output of 20 tons of ice, sold at 2 centavos a pound. In 1924, San Miguel purchased the Fabrico de Hielo as an advent to going into the ice cream business. 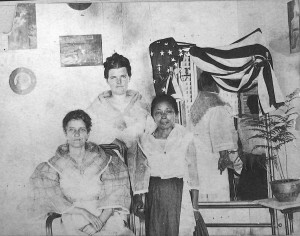 The Thomasites were a group of 523 American schoolteachers who arrived in Manila in 1901 on the US Army transport Thomas, thus gaining a name for all subsequent US teachers whose numbers later ballooned to more than a thousand. With the increasing influx of Americans who brought their preference for imported fresh meats and cold beverages, the demand for ice increased. The newly organized Insular government convened a Philippine Commission to detail modernization requirements for the new colony. Among the projects high on the list was the need for cold storage. 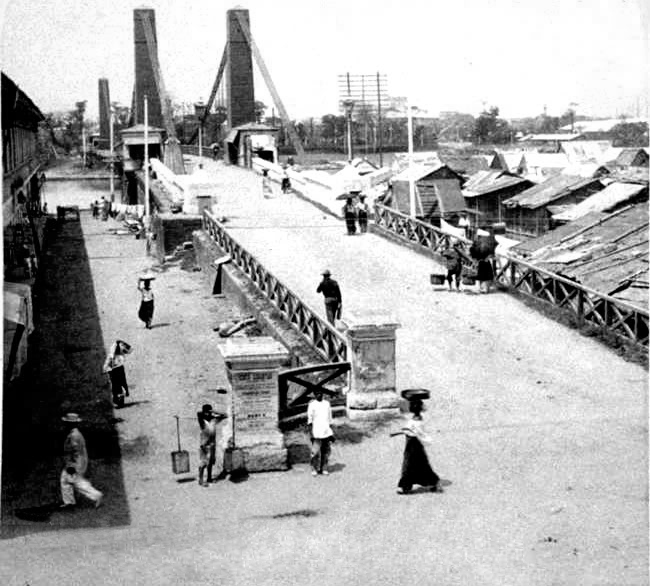 At the southern foot of the Puente Colgante stood the Insular Ice Plant and Cold Storage, built in 1902 at the advent of the American colonization of the Philippines. It was the largest project of Edgar Bourne, an American architect and the head of the Bureau of Architecture credited by the Philippine Commission in 1902 as part of the colonization efforts. 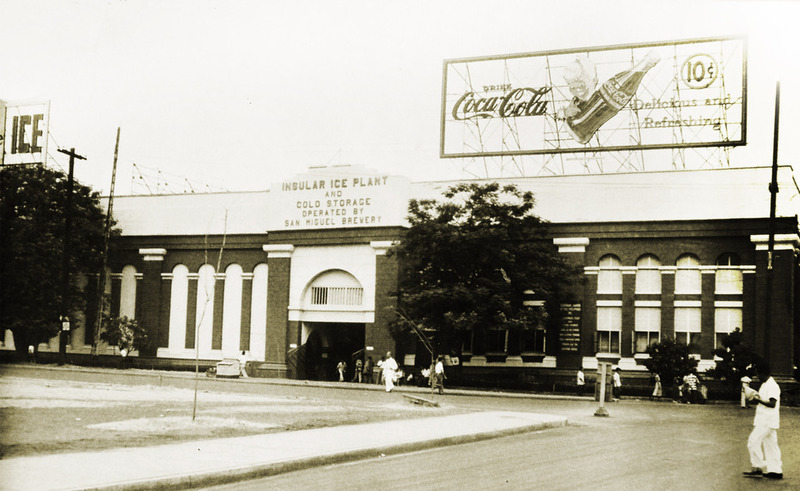 The Insular Ice Plant was one of the first buildings built by the American occupational army to furnish ice, distilled water and cold storage for the army, navy, and insular government as well as the general public at a cost of P2,000,000. 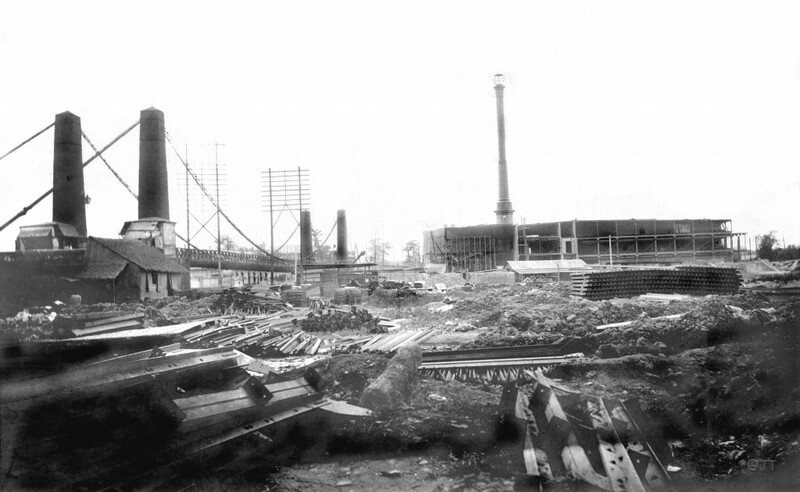 It was a large, voluminous structure whose horizontality was broken by a slender 10-storey high smoke stack, once a famous city landmark due to its height. Taking note that the Spanish inspired architecture was already rooted deeply into the Philippines, Edgar Bourne designed the first American Colonial buildings in the Philippines with a style readily imported from Americas: Mission Style. 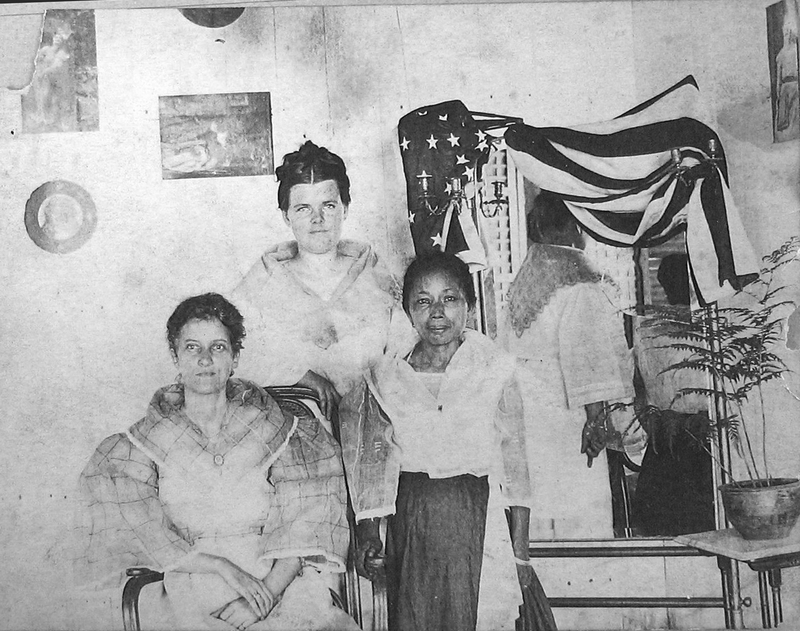 The Mission style was a style from American States that was once part of Spanish America. 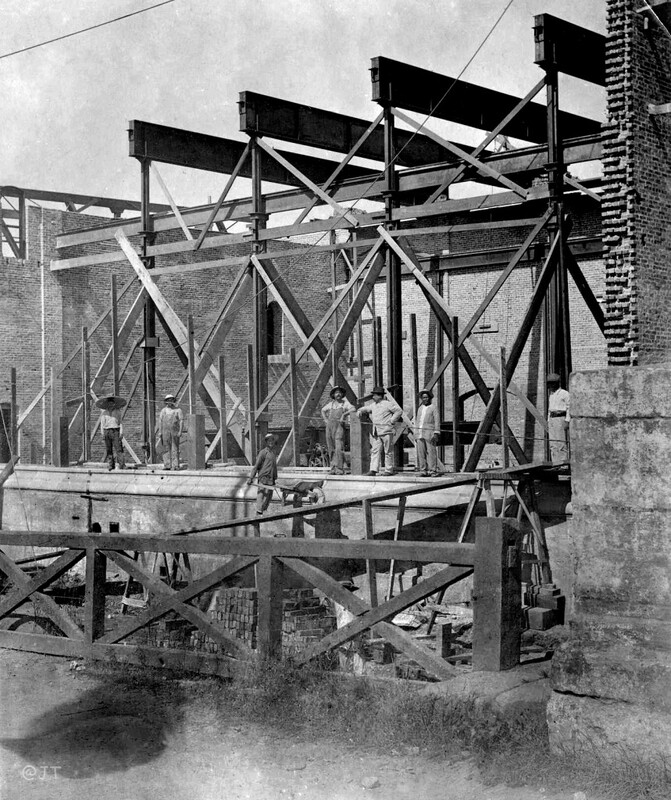 Carrying with them the technology of the concrete, the first buildings of the American Era looked like a continuation of the Spanish inspired buildings, while fulfilling the Manifest Destiny of the USA. Bourne also designed the Manila City Hall, Bureau of Science building, and some of Manila’s piers. The building’s brick facade embodied the Mission Revival style in its use of low, unadorned false arches and repetitive design elements, like pedimented entrances with the Insular government seal. A row of mirador towers atop the building added further height as well as concealing industrial tools and components. While the majority of the exterior and interior walls were done in brick, the columns, structural members and flooring were finished in Oregon pine. Its tall smoke stack served as a vertical landmark in Manila as it could be seen from different parts of the city. “What Big Ben is to London, the Insular Ice Plant is to Manila. The ice plant’s whistle sounded three times a day- at seven in the morning, at noon, and at four in the afternoon-and the minute-long blast that could be heard all over the city regulated our lives: sending us rushing to school or office at seven in the morning, and rushing to lunch at noontime, and rushing back home at four in the afternoon. Insular Ice Plant damaged by war. The plant slowly fell into disuse and eventually closed down leaving behind it a long illustrious history, surviving even the deathly blows of WWII. Good evening Sir Lou, our fanpage would like to extend our deepest and most sincerest appreciation for allowing us to share your wonderful photos that truly helped us to promote our Philippine cultural heritage..Thank you..Mabuhay po kayo..!!! 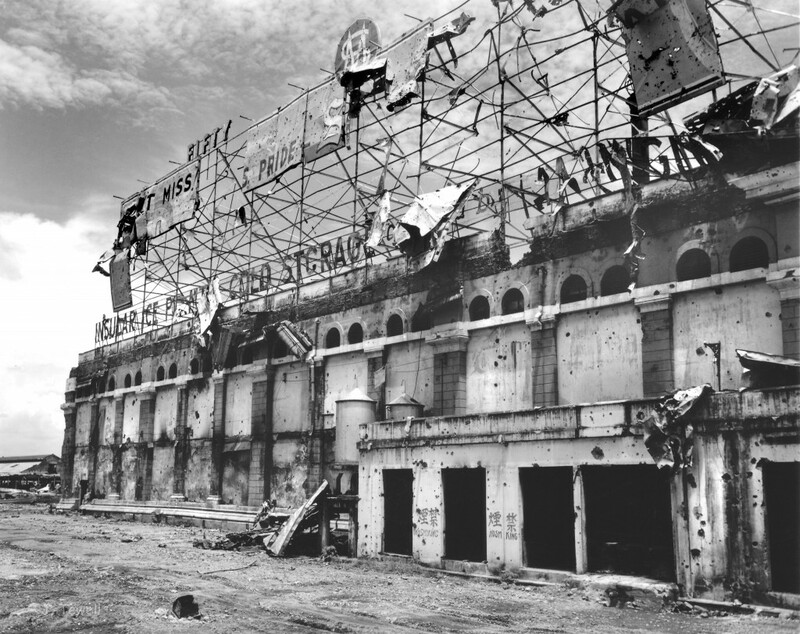 The Oriental Brewery and Ice Co was originally based in Hong Kong, where it had been erected in New Kowloon by an American consortium, and was aquired by a syndicate from Manila led by Antonio Barretto, cousin of “Don Enrique” Barretto, the man who founded the San Miguel brewery. The consortium had the Oriental Brewery dismantled and shipped to the Philippines. Enrique Barretto, who had left the brewing business, and had been working in the office of the clerk to the Supreme Court of the Philippines, was appointed its general manager. Thank you for the info on the Oriental Brewery and Ice Co. If you don’t mind, I’ll add it to the post and credit you as the source. I forgot to say that the brewery had been erected in Hong Kong in 1908, and was shipped to Manila in 1913. Pardon the pedantry, but suspension bridge translates as puente colgante (i.e. no “de”). Likewise Fort Santiago translates as El Fuerte or La Fortaleza de Santiago (i.e. not “Fuerza”). Congratulations on a truly outstanding web site! It stirred memories from the bottom, like a long spoon in a tall glass of halo-halo. Please correct me if I am wrong. My memory on this seem to have faded, but I seem to recall there was a bridge connecting Pandacan to Sta Mesa which I thought was the Colgante . And there was a destroyed bridge alongside it. Am I confused? alongside the collapsed bridge. This was after we were just liberated.. I believe that would be the Nagtahan Bridge.